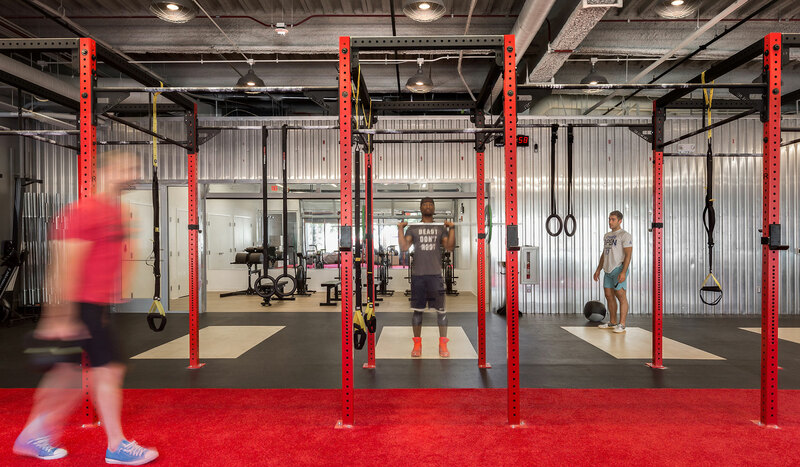 UAC endeavors for their gym spaces to motivate and excite their members with an open, collegiate space. 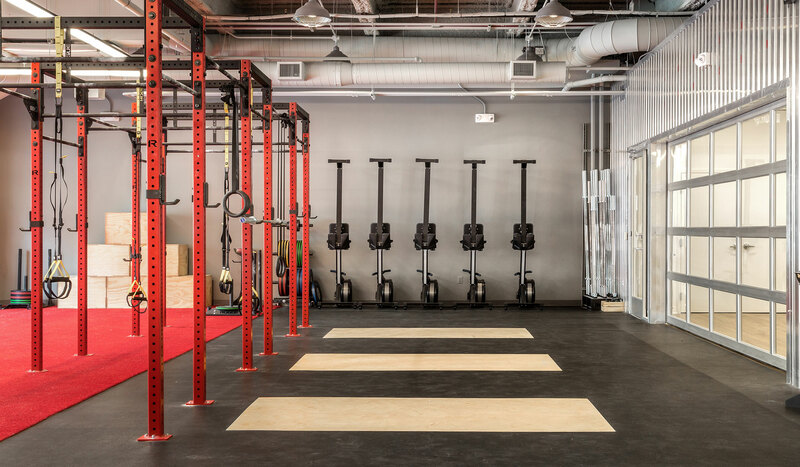 The space is organized around workout zones, utilizing color and texture as a differentiator. Pops of branded red, set off against an industrial-modern backdrop of corrugated steel, greys and blacks help define the zones. 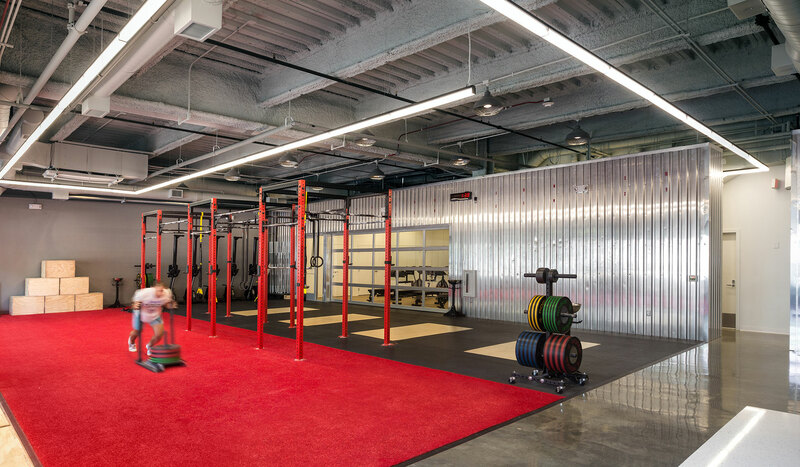 A continuous ribbon light accents the main workout area and guides users through the space to the back of house components, which are organized into a neat, metal-clad package. An operable garage door provides light and view into a private training room.